Money, Money, Money – The Mayor’s Council on Transit Courts Another FastFerry Scandal! The Mayor of Vancouver and the Mayor of Surrey discuss the Broadway Subway. What could go wrong? It takes a lot of money to operate a transit system and subways tend to be a financial black hole and are avoided unless ridership on a transit line demands. Just the SkyTrain subway to Arbutus will cost TransLink an additional $40 million in operating costs, but there is worse to come. Subways needs a lot of intensive maintenance or servcie deteriorates over time. TransLink is well known for doing the bare minimum of maintenance needed to keep the mini-metro in operation. The following is from Wolfgang Keller who now works as a safety engineer in Germany and before the SkyTrain Lobby sneer at this, in Europe, safety is taken much more seriously than TransLink would ever do! ventilation, etc. which all require maintenance and thus, staff. than any of the modern streetcar lines in France, at a much higher cost. I must add, that the Canada line can operate only 41 metre long train-sets, thus has less capacity than Rennes! rotting into a state of near-inoperability. No one is asking about the long term operating costs associated with subways. No one is countering Translink’s CEO, Kevin Desmond’s completely dishonest claims about LRT. This gross dishonesty is badly affecting any hope of getting Valley Rail in operation! How will the $40 to $50 million in additional operating fees affect Translink’s finances? Kevin Desmond and the mayors Council on Transit is leading the taxpayer on a one way ride that will end in fiasco, making the FastFerry scandal in the 1990′s, child’s play. A new TTC report is sounding the alarm about what the agency says is billions of dollars worth of unfunded work required to keep Toronto’s transit system functional over the next 15 years, a finding that could raise the stakes for the provincial government’s contentious plan to take ownership of the subway system. The TTC capital plan was released Friday along with the agency’s proposed 2019 operating budget, which recommended a 10-cent fare increase. Both documents were reported by the Star Thursday before they were made public. The capital plan says the agency will require $33.5 billion of capital investment over the next decade and a half in order keep the system in a state of good repair and meet expected ridership growth. A staggering $23.7 billion of those costs, which don’t include the expense of building new transit lines, is currently unfunded, according to the TTC. Projects it says are required include increasing capacity on subway lines, replacing the bus fleet, building a new bus garage, buying up to 100 new streetcars, and replacing streetcar track and power systems. “Without the investments outlined in this plan, service reliability and crowding will worsen,” warns the report, which is signed by TTC CEO Rick Leary. TTC board member Councillor Shelley Carroll said the new capital plan marks the first time in memory the city has had a clear accounting of the transit system’s infrastructure needs. She said it should be a wake-up call for government to “start having a real conversation about the system” and find ways to fund the existing network instead of focusing on building new lines. Of the $33.5 billion in costs the report identifies, about $22 billion worth is related to subways and stations. That includes $8 billion for Line 1 and Line 2 capacity improvements, $650 million for a new automatic train control signalling system, $1 billion to expand Bloor-Yonge station, and $1.26 billion for platform edge doors. A little more than $16 billion of the subway investments are unfunded. The subway costs in the report are far greater than the $160 million a year the Ontario Progressive Conservatives have pledged to spend on the network if they execute their plan to upload ownership of the lines and stations to the province. Carroll said she’s concerned that if Queen’s Park follows through on that plan, the province will deem much of the capital work unnecessary. “Oh it’s necessary all right, and we need to be honest about it and make sure that this system can keep running,” she said. On the operating side, the TTC budget requests the city increase the subsidy it provides the transit agency and its Wheel Trans service this year to $763 million, a 3-per-cent increase over 2018 that would buck a city directive for all departments to freeze their net budgets. Among the major drivers behind the increase is $14.4 million in additional costs for the new two-hour transfer policy, and $8.5 million for capacity improvements. There’s also $18.5 million associated with the Presto fare card system. The agency is predicting 526.3 million riders this year. That’s up from 521.4 million in 2018, but a decrease from the 533.2 million in 2017. The budget proposes raising $25.8 million in additional revenue by instituting a 10-cent fare increase that would apply across the board to adult, senior, and student rides. An adult fare using a token or Presto fare card would rise to $3.10, while an adult monthly pass would cost $151.15, up from $146.25. The fare hike would go into effect April 1. Shelagh Pizey-Allen, director of advocacy group TTCriders, condemned the proposed increase, noting Toronto users already pay for a disproportionately large portion of the city’s transit budget compared to those in other comparable cities. “The TTC is still deeply unaffordable for many people in our city. We already pay more than our fair share,” she said. In a statement Friday, TTC Chair Jaye Robinson, who told the Star earlier this month she wouldn’t support a fare hike, stressed the need to “balance the cost of capital and service improvements with affordability,” but didn’t say if she would back the increase now that it’s been recommended by transit staff. “What I can say is that I will be listening very closely at next week’s meeting to transit users, to TTC staff and to board members,” she said. Don Peat, a spokesperson for Mayor John Tory, said the mayor wouldn’t pre-empt the TTC board’s decision on the fare increase. But he asserted Tory’s administration has “made additional and record-setting investments” in the transit agency, including in popular initiatives such as the two-hour transfer. The TTC board will consider its 2019 budget at a meeting Thursday. I just finished my first read throuh of the executive report and certain core sections of Translink’s report on the extension of the Broadway Skytrain Line from Arbutus to UBC. Let’s start asking some serous questions here. 1. Why when it was examined did Translink not put LRT or BRT in a tunnel as well? If your gojng to compare apples to apples, both BRT and LRT should be in a below grade right of way to give an equal comparison to the Skytrain technology. There are numerous examples here in North America of LRT operating in tunnels. There are certainly many professional studies examining BRT in tunnels. Both Seattle and Ottawa have short sections of tunnel BRT right of way. Brisbane, Australia, a very cloee operating twin to any North American city, with their extensive BRT system did an exhaustive study for the Brisbane Metro Plan (busway line consolidation with Bi-articulated buses operating in tunnels in downtown Brisbane, combined with many busway upgrades ). This plan has far greater service frequency and passenger carrying capacity than Skytrain. 2. Why is the non Skytrain operating technology compared in an operating condition that would not only not be done in Vancouver but doesn’t even begin to come close to best practices used in the rest of Canada, let alone anywhere else? The example for LRT and BRT had far less service frequency than the Skytrain example. Surely Translink doesn’t look at the low service frequency of many American LRT systems and honestly believe that is because of the operating technology itself? For example, the Greater Denver’s RTA (their transit authority) operates an extensive rail and bus system to an area population twice that of Vancouver’s however, their busiest section of LRT rarely operates with a service frequency below 4 minutes. This is because the RTA’s operating budget was only 58% of Translink’s. This is actually a consieerable increase in operating funds, over previous years, even with the falling value of our currency compared to the US Dollar. 3. Why do Translink reports portray the organization as so uninformed regarding outside Vancouver changes in transit operating technology, strategies and abilities? The report mentions in several places the cost savings (operating costs) of driverlesss operations vs. other LRT and Metro Systems throughout North America and the world. Remember, that Translink has to employ quite a large number of ” Attendants” (several hundred) who’s primary function is to respond to emergencies involving passengers and stalled trains. These Attendants are prepostioned throughout the network to respond when needed. Just because a train may have an operator doesn’t mean it’s not automated! 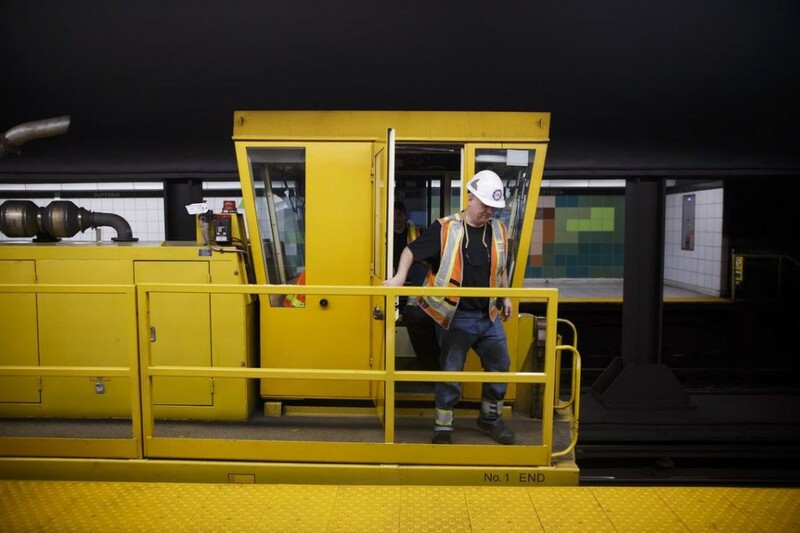 Montreal has had automatically controlled trains since the 1990′s, some of New York’s Lines including the new 2nd Avenue line are also automated, even though operators are always present. Toronto’s new CBTC system essentially will automate the Yonge-University-Spadina-York Subway Line (Line 1), as will improvements to Baltimore’s and Miami’s Metro Lines. All will still have operators present in their train cabs. 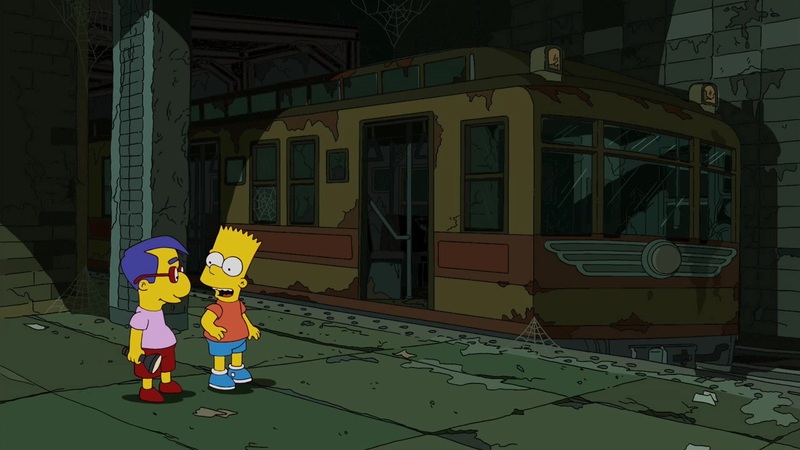 The LRT system in San Francisco and BART for that matter, have been partially or completely automated for years . Los Angeles, San Jose, St. Louis, Denver, Houston, Dallas, Charlotte and Cleveland have partial or completely automated LRV’s and all have operators. Employing drivers as on board attendants and part time drivers saves as much or almost as much money as Translink using unoccupied driverless trains with attedants. Don’t get me started on how much maintenance costs you aren’t saving by employing LIM propulsion! I forgot to mention that, employing oprators as both attedants and parttime drivers means that they can respond far faster to passenger emergencies and stalled trains than off train attendants who have to travel to the station or train before they respond to the problem. Mr Cow, I do want to ‘get you started’ on the Skytrain (LIM) maintenance costs, and to ask you to further address the issue of labour costs for ‘driverless’ rail..
On this blog, the absence of credible information on these two issues is matched only by the frequency with which they are raised. As you probably know, the Translink Peer Agency Comparison Report cites US FTA sources for a graph showing that Skytrain has LOWER “operating and maintenance” costs per passenger than 16 “rapid rail” systems in the US, including Washington, San Francisco, Boston, Chicago and even New York (this data was for 2012). Since you are a transit professional I presume you have access to the CUTA (Canadian Urban Transportation Agency) reports that the rest of us peasants do not. What data do they provide for a comparison of Translink’s Skytrain or Rail Division operating (and specifically maintenance) costs with RAIL transit operating (and specifically maintenance) costs in Toronto, Montreal, Calgary, and Edmonton? On the issue of driverless transit, I myself do NOT want it. I want living, present persons to control the system, so it is more human-centered, safer – as you note – at the broad scale (broad scale, because for very specific tasks automatic/machine control can be safer than human control), and because more jobs for people is better than more unemployed people. However, like it or not, it does seem that ‘driverless’ rail transit is becoming more widespread, and one reason is that it can or does reduce direct employment costs. Again, as a transit professional with (presumed) access to CUTA data, can you report how the Translink Rail Division or Skytrain employment costs compare to those in other rail transit system in Canada? I did look up the Translink South Coast BC Transportation Authority Statutory Report 2017. It reports that the Salaries, Wages and Benefits share of Total Expenses for the whole Vancouver public transit system was 38.8%. Because transit is other cities is administered differently than Vancouver, direct comparisons are difficult and must be qualified in various ways. However, same ratio for the Toronto Transit Commission in 2016-2017 was 58.7% – significantly higher than for Vancouver. If interest and amortization are removed from Total Expenses, the Salary, Wages and Benefits share of Total Expenses was 50.7% in Vancouver and 74.4% in Toronto (calculated from the same sources as above). Finally, my quick searches did not locate data for ONLY the rail or subway division of the TTC, but the Salary, Wages and benefit share of Total Expenses for Translink’s Rail Division (which is mostly Skytrain) was only 24.78%. (Same source as above. Total expenses include interest and amortization. The ratio was 33.8% without interest and amortization). We need rail transit-to-rail transit comparisons. So. can you cite a source supporting your claim that “Employing drivers as on board attendants and part time drivers saves as much or almost as much money as Translink using unoccupied driverless trains with attedants.”? For example, what ratio of labour costs to total costs has been budgeted for your Ottawa LRT system? Zwei replies: Been busy with the questionable report for the Broadway subway. 1) Driverless operation is a signalling issue. I have checked with a specialist and according to him, driverless operation becomes cheaper on heavily used routes, with traffic flows at least 15,000 to 20,000 pphpd or more. Traffic flows under this, much cheaper signalling is all that is needed. He reminded my that with LRT, line of sight operation with local signalling is all that is needed, which is a lot cheaper than ATC. 2) Take pause and reflect on this. SkyTrain has been available to build since the late 1970′s, yet during an unprecedented era of investment in urban railways, only seven SkyTrain systems have been sold and of that 7, only 3 are used for urban transit. Of the 3, one is going to be torn down because it is soon approaching its life expiry date, and the other, first built by mistake (the politicians wanted a monorail) is mired in legal ills, involving corruption. This leaves Vancouver alone, in using SkyTrain as an urban transit system. Of the remaining 4, 1 is a demonstration line, 2 are airport people movers, with one financed by the Canadian government, leaving one as theme park people mover which is again mired in legal ills. Not one SkyTrain has ever been allowed to compete directly against LRT! I would say your claims, lack credibility. There is not another fast ferry scandal. Skytrain is well used and attracts new users because of it’s speed. Translink can afford the added maintenance. Translink has a budget surplus every year. Just go to translink website and request the latest financial statement. By the way, the fast ferries were great. It was the imcompetant NDP that messed up the implementation of the new ferries by demanding many changes to the original design. Fast ferry could have been a success if they government didn’t interfere.